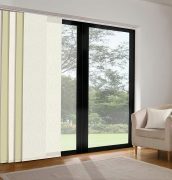 Panel blinds are the ultra modern way to add style to your home. 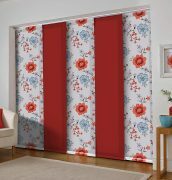 A fantastic way to dress large windows, panel blinds are a perfect way to make a statement. 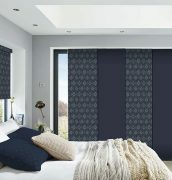 As they are available in any roller blind fabric the choice of patterns and colours is vast and you have the option of accessories to customize your blind. 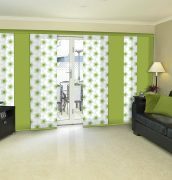 Available in three, four or five panels you have the option to choose how wide you need each panel to be to suit your needs. 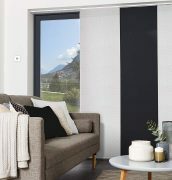 The sliding design provides an efficient way to shade your room, each panel neatly stacking behind each other when the blind is fully open to make the most of a large expanse of glazing. 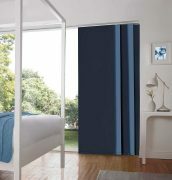 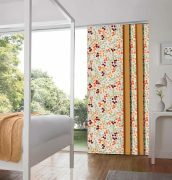 This blind #can also be used as a room divider, a creative and stylish way to make the most of your living space.